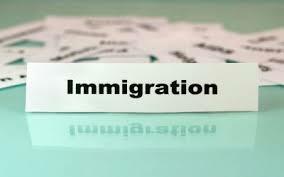 Arnold Law, LLC: The Latest News on Maryland Immigration. You may think of Southwestern states first when you consider the topic of immigration. Maryland however, has a large immigration community from El Salvador. Here is an interesting stat… roughly 15 percent of all Maryland residents were born in another country, while 11 percent are native-born Americans who have at least one immigrant parent. From the recent statistics going back to 2015 nearly one million of the state’s residence were immigrants comprising over 15% of Maryland’s population. The breakdown was 437,740 women, 410,928 men, and 62,914 children. Besides El Salvador, India, China, Mexico, and Nigeria comprised most of our state’s immigrants. Probably no branch of the law is as dynamic as immigration law. You need to select someone to represent you who has the experience and enthusiasm for Maryland immigrants. In Baltimore, Briana Arnold may be the right choice for you and your family. Attorney Arnold will sit down with you at her Commerce Center East office to discuss your case. Call today (410) 484-1400.